Advance Child Care, Inc is a 501 (c) 3 non-profit agency, established in 1990. Our singular focus is to provide our clients with the most simple and accurate process for their CACFP participation. You’re in the business of caring for children first and foremost and don’t need the CACFP taking up a lot of your valuable time! Our 30 years of being a CACFP Sponsor and software developer has given us unlimited knowledge on how to “simplify the CACFP process”. Many of the features promoted by other CACFP management systems is directly due to our pioneering efforts in the areas of electronic CACFP data capture and a paperless reporting system..
Our Key Management Staff have over 73 years of combined experience and are the reason Advance Child Care, Inc. can expand their CACFP Unaffiliated Center Sponsorship into multiple states. Max Taylor – President and CEO; Mr. Taylor is the founder of our agency and built the concepts around how our CACFP Management System works. Mr. Taylors holds a Masters Degree in Education from Stephen F. Austin University. Through his 30+ years of operating child care centers, his knowledge and experience in the child care industry gives him a unique perspective on how best to manage a child nutrition program and food service operation in a day care. Shawn Pringle – Director of Business Development; Mr. Pringle has been with Advance Child Care since USDA first allowed Unaffiliated Sponsorships to operate in all states. Holding a Bachelor’s degree in marketing from Sam Houston University, Mr. Pringle is responsible for creating all of Advance Child Care’s CACFP Marketing, Orientation and Training programs. He has been instrumental in working with our software vendor in the design of our management system that takes out all the guesswork for a child care center as it pertains to their food service operation and CACFP data management. Amy Pringle – Program Director; Ms. Pringle is the hardest working individual you will every meet. It is evident of Ms. Pringle’s degree in Mathematics from Sam Houston University, by her mastery of maintaining thousands of pages of CACFP claim data efficiently for all of or client centers. Ms. Pringle’s main responsibility is to oversee the management of data collection and claims reporting for our CACFP Unaffiliated Sponsorship in Texas. She is truly the “one behind the scene” that makes our turnkey CACFP Sponsorship continue to operate smoothly on a daily basis. 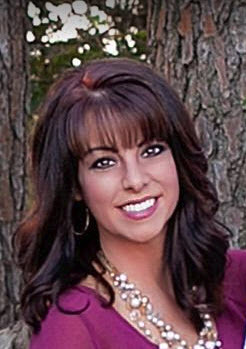 Jill Walker – Contract Manager; Ms. Walker brings to our company the expertise of managing child care centers. She literally grew up within this agency’s own child care centers; first as a student (from age 18 months through 10 years), then as a teacher (from 18 years through 24 years), then as a center director (from 24 years through 28 years) and finally as a central office administrator over all day cares Advance Child Care owned. Now Ms. Walker brings her bubbly personality and positive attitude to overseeing how our team works with the hundreds of day care centers under our CACFP Unaffiliated Sponsorship. Child and Adult Care Food Program in Texas | Call us at 903-872-5231 ext 302.